And have a bottle of garlic shampoo ready! 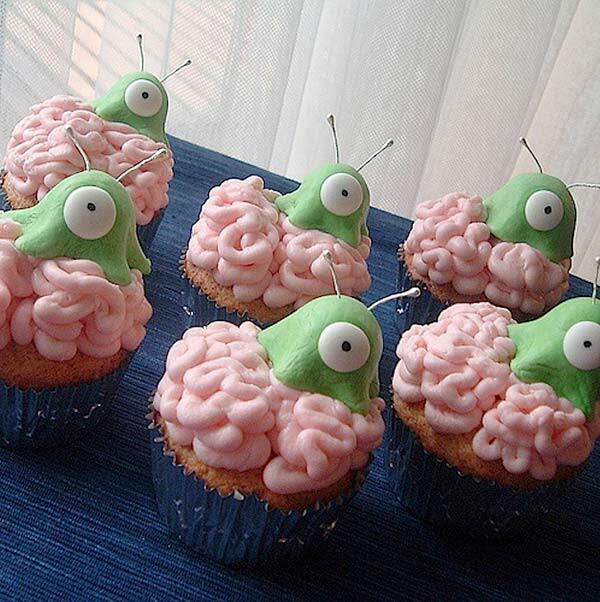 The brain slugs of Futurama were pastrified using gum paste for the slug’s body, royal icing for the eyes, flower stamen for the antennae, and cherry butter cream for brains, all on top of poor vanilla cupcakes. Bake them at your own risk.